The first in a series of villas, Villa Ladine I established a vernacular for the invasion of larger vacation homes that broke the different functional areas into separate elements, each component scaled to the size of traditional island homes. Materials were simple metal roofing, recessed gutters, stucco, and wood windows, and all water is harvested from building surfaces. Larger than Villa Ladine I, the second residence mixes small, stucco, pitched roof living/sleeping pavilions with stone, vaulted-roof utility buildings. The former recalls the scale of the classic "casa du vent" hurricane houses and the latter makes reference to historic stone cisterns found on the island. 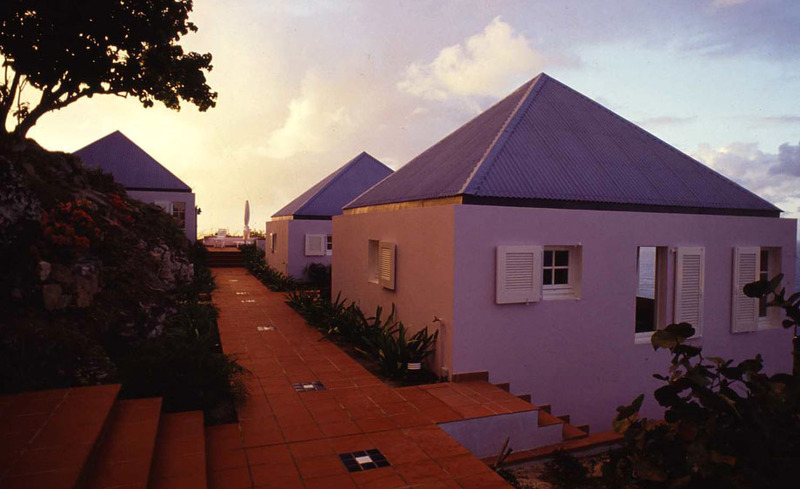 This was the first application of zinc roofing on the island, a material compatible with harvesting potable water and resisting storms. 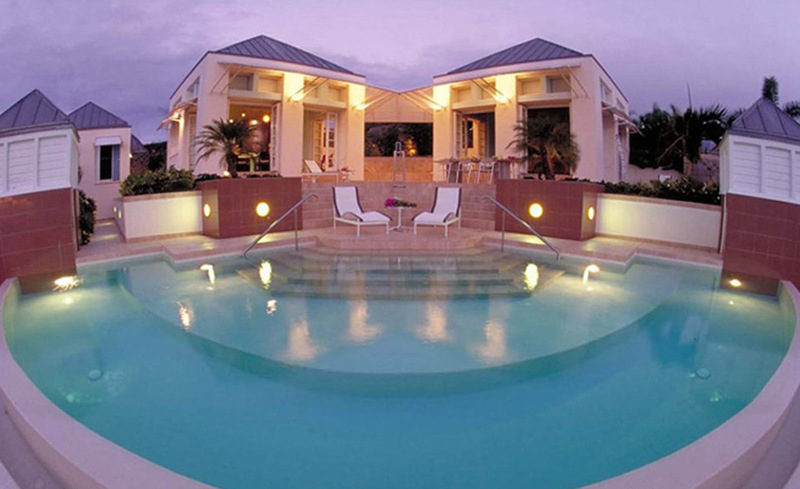 Great Estates (cover) "Bien-Etre on St. Barts"
Estates International "A Pavilion Theme Revels in Caribbean Breezes"